Democracy works. Once again, the people have spoken & Prime Minister Elect Justin Trudeau earned the right to being chosen as the winning candidate for the biggest job in the country. At the beginning of the election, I suggested the best campaign would ultimately determine the winner of our election. We heard from all political observers that Liberals’ strategy was to present Justin Trudeau being the “real” candidate for change. Mr. Trudeau did shine time & time again in debates (aka interviews) and on the campaign trail (aka networking), not only delivering that message but also being believable to the voters. The one who is ultimately hired, isn’t always who’s most qualified. You may not seem “ready” on paper and you may not have all the right experiences. There may be stronger candidates on paper, like Mr. Mulcair, and there might be even an incumbent candidate who is doing the job already. You still have a chance at winning your desired role. In politics, like job hunting, you are looking to get hired. Getting hired is ultimately about connecting with the people that will “vote” for you. In Prime Minister Trudeau’s case, one thing that I was struck by was the “social” in his job search campaign. His campaign was built on a thousands of different interactions over the past 3 years as the leader of the Liberal Party. Your opportunity may lie in meeting, one on one, with potential people who will “vote” for you. Don’t take the social out of social media. We live in an age of Twitter, Facebook, Instagram & other social media outlets. These tools were well utilized by all the parties in the election campaigning. The biggest social media was just that, social. In Prime Minister Trudeau’s acceptance speech, I was struck by a comment he made about meeting. He met with thousands of people all across the country, ate way more chicken than any one person should in a lifetime, was a part of numerous selfies and, yes, kissed lots of babies. This is networking at its best. You have to be hard working and disciplined. I heard an interview with one of the two key advisers that Justin has relied on throughout his political career. He was asked what is one thing that we don’t know about Justin Trudeau and he shared the incredible work ethic and discipline that Justin has. In reality, he has been running for this role since being elected in a riding that traditionally is not a liberal stronghold in Montreal. It takes a village to get hired. Job hunting is a team effort. One might argue that Justin had a huge paid team around him to help him win this role – that is true. That said, there were thousands more that volunteered to support & help him win. The job hunt is the same; don’t go alone, nurture and select a strong team around you to help you achieve your goal. Yes, a career coach is part of your team! You have to believe you’re the best candidate. 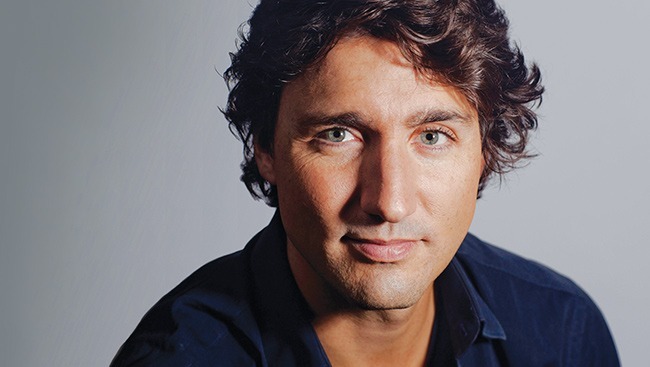 I was struck by the confidence that Justin Trudeau showed in debates & particularly in his acceptance speech. He believed he was the best person to lead & that was believable to those who bore witness. Nurturing & protecting your confidence is a fundamental element to getting employers to take a risk by hiring you. When you do accomplish your goal, that is just the beginning. Now we expect Prime Minister Trudeau to deliver on his promises & the beliefs of the millions of Canadians who voted for him. Like starting all new jobs, there will be a honeymoon period, but that will be short lived. All employers have expectations -especially tax payers. As you pursue your potential, keep these things in perspective. Canada is still the land of opportunity – so take control and take advantage of the opportunities that are afforded to you. Believing in democracy, along the road with you! P.P.S. Are you thinking about shifting to an entirely new role? CareerJoy’s Career Transition Program will help you understand your options and plan your future. Wondering how we can help? Contact Brittany Knapp, Manager of Client Services, at 1-877-256-2569 x 4 or brittany.knapp@careerjoy.com.